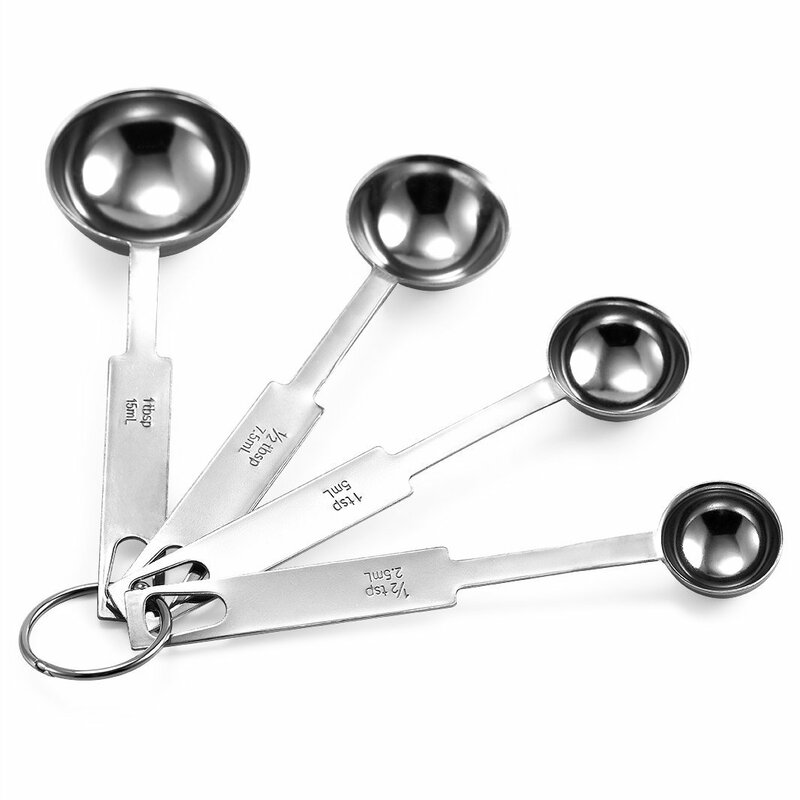 I just got this great set of measuring spoons from X-Chef. This is a very nice set of measuring spoons. They stainless steel so they are really well-made, won’t bend or break. They come on a great ring that you can use to keep them all together and not lose any. However, it is easy to take them off the ring if you need to for cooking. I love to cook and bake so I love having really well made quality tools and these are very nice set of measuring spoons. You get a set of four spoons. I love to bake and cook so these come in handy for me all the time. I use them almost on a daily basis. My favorite feature is the ring so I can hand them up! DURABLE STAINLESS STEEL DESIGN: No static cling, dishwasher safe, won’t rust or stain. NEST DESIGN FOR NEAT STORAGE: Storage ring keeps spoon set together, the set can easily be used with or without the ring. PERFECT USED: Narrow end designed to fit most spice jars and round end is for liquids. 100% SATISFACTION GUARANTEE: If you aren’t 100% happy with our Best Stainless steel Measuring Spoons, contact us and we will make it right.